The Blundering DNA Genealogist: DNA Painter Gets Even Better! 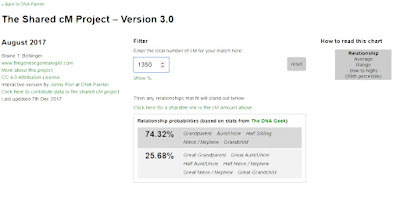 DNA Painter Gets Even Better! I love it when I am researching and blunder into a new enhancement of a tool. 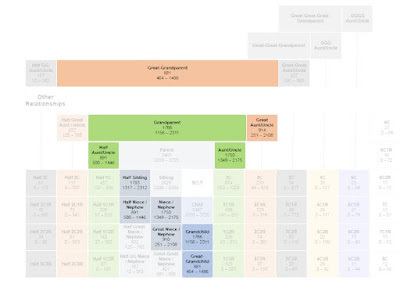 Not that long ago I happened on web developer, Jonny Perl's interactive DNA Painter, which is a new spin of ISSOG's Blaine T. Bettinger, Shared cM Project data. 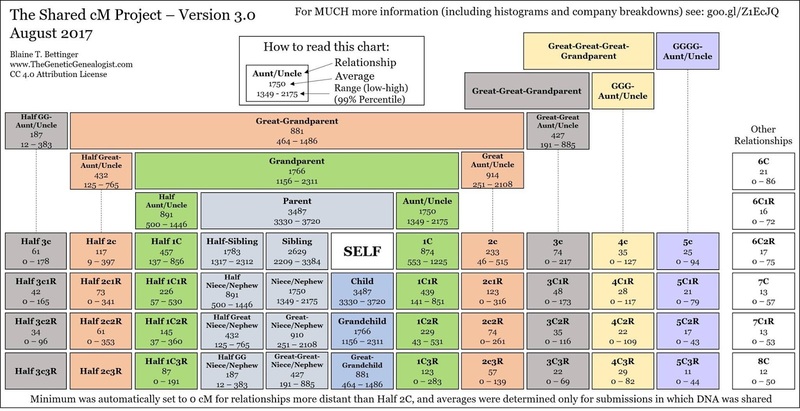 I love this so much I keep a laminated copy of this relationship chart close at hand. 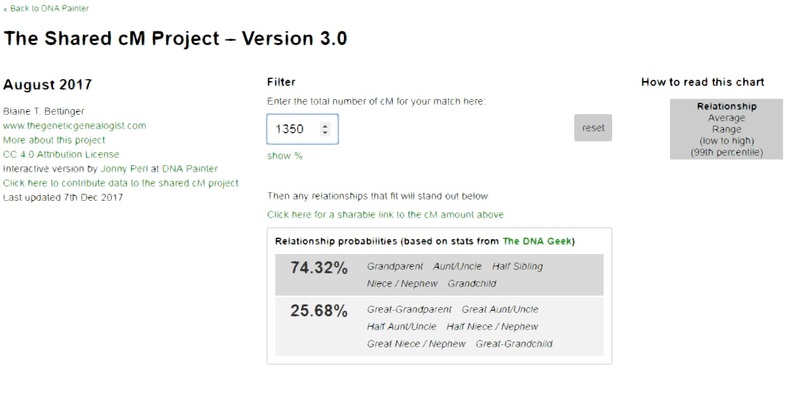 Today I discovered DNA Geek, Dr. Leah Larkin's newest contribution that takes the DNA Painter shared comparison tool a step further and provides statistical analysis which shows how correct the prediction will be. What a great holiday gift! 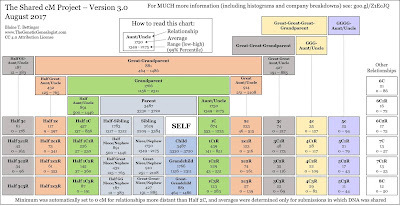 The higher the amount of total cM's shared the closer your relationship. This new enhancement shows the higher cM's shared, the better the odds of the predictions as well. 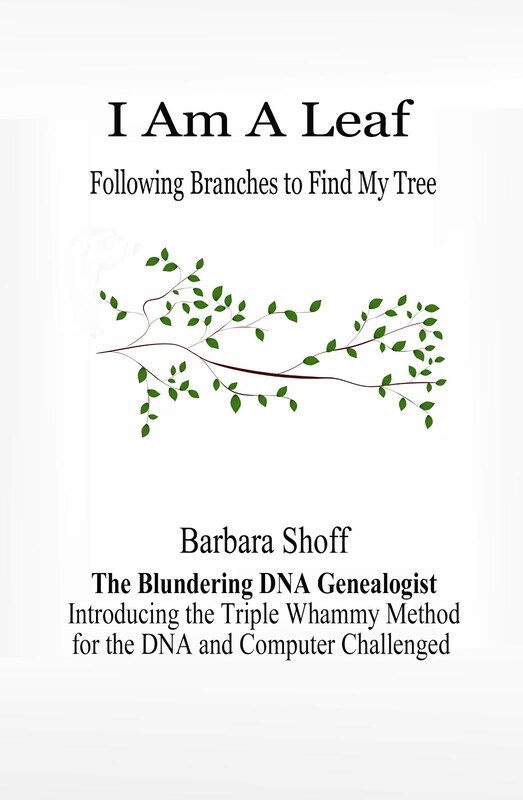 My sincere appreciation and thanks to Blaine T. Bettinger, Jonny Perl, and Dr. Leah Larkin for their contributions to those learning about genetic genealogy and for providing such awesome tools. I'm still having a blast!